Sign up for Broadjam today to follow Mark de Clive-Lowe, and be notified when they upload new stuff or update their news! Mark de Clive-Lowe (MdCL) is a NZ-Japanese producer, musician and DJ based in the UK for the last decade, now in LA, and at the forefront of the global urban alternative, jazz and soul community. 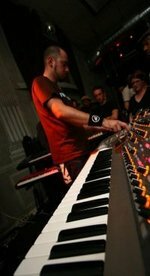 He's a devastating live performer creating studio production on stage from scratch using drum machines, keyboards and effects - live remixes created on stage for each and every gig. 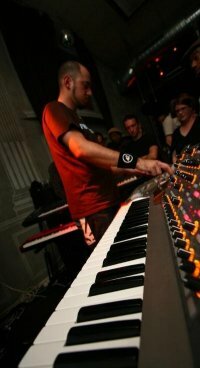 As well as performances at clubs, festivals and parties worldwide, he's on over 200 releases for Masters At Work Records, Verve Records, Impulse Records and producing for/collaborating with as diverse a range of artists as Kenny Dope, Jody Watley, Omar, Bugz in the Attic, Dego (4Hero), percussionist Sammy Figueroa (Miles Davis), bass player Pino Palladino (D'Angelo/John Mayer), DJ Spinna, Leon Ware, Dame Shirley Bassey and plenty more, MdCL is one of the most innovative producers and live performers you'll find anywhere.